Viking Books for Young Readers, 9780670785018, 40pp. An award-winning book by a New York Times bestselling author! Ame Dyckman writes picture books, hula hoops, and puts coins in people's parking meters. She lives in New Jersey with her family and pets: black cats, hermit crabs, fish, and a demanding-but-adorable squirrel named Willie. She is the author of Boy and Bot, about which The New York Times wrote, "It's simply impossible to imagine . 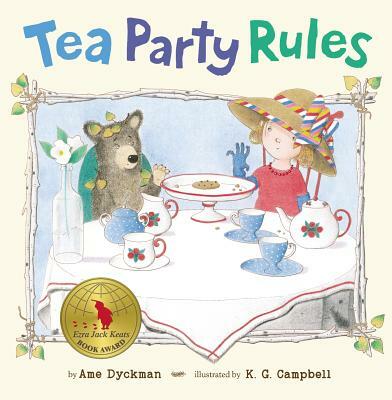 . . not wanting to be friends with this book," as well as Tea Party Rules, winner of the Ezra Jack Keats New Writer Award. Follow Ame on Twitter @AmeDyckman.